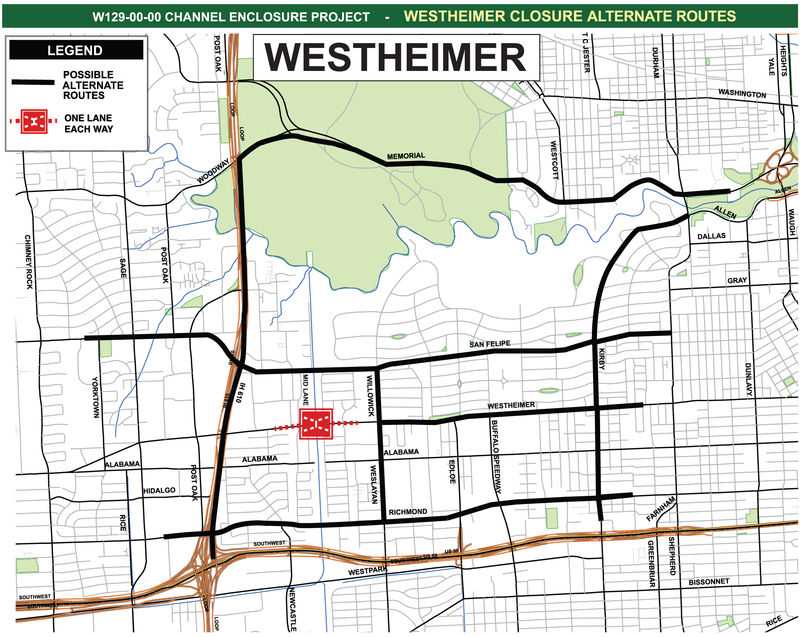 On March 3, 2013, the Harris County Flood Control District will close two lanes of the Westheimer Road Bridge located just east of Mid Lane inside West Loop 610 in the Galleria area. Traffic will be limited to one lane in each direction for up to one month while the 50-year-old bridge is demolished and replaced. The San Felipe bridge is expected to be replaced in summer 2013. During this time, the bridge will be closed to all traffic for up to two weeks. The Flood Control District will also establish alternate routes that will aid in the flow of traffic during that bridge project. The Westheimer and San Felipe schedules are subject to change due to construction or weather issues.